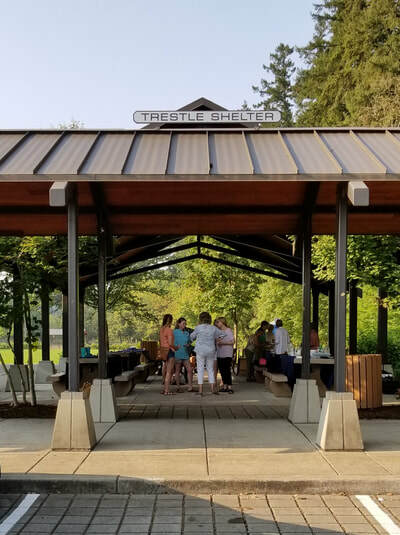 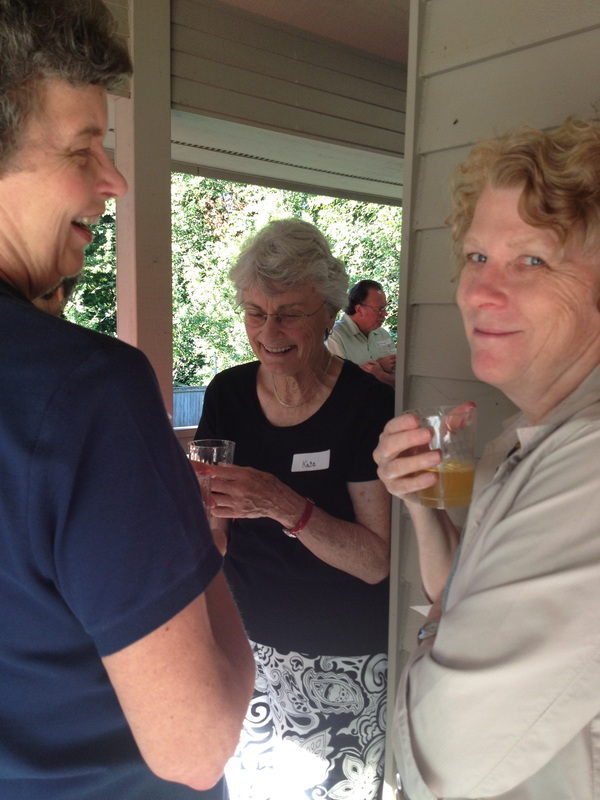 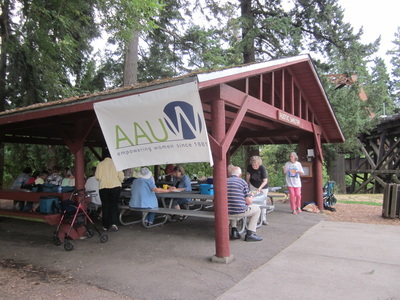 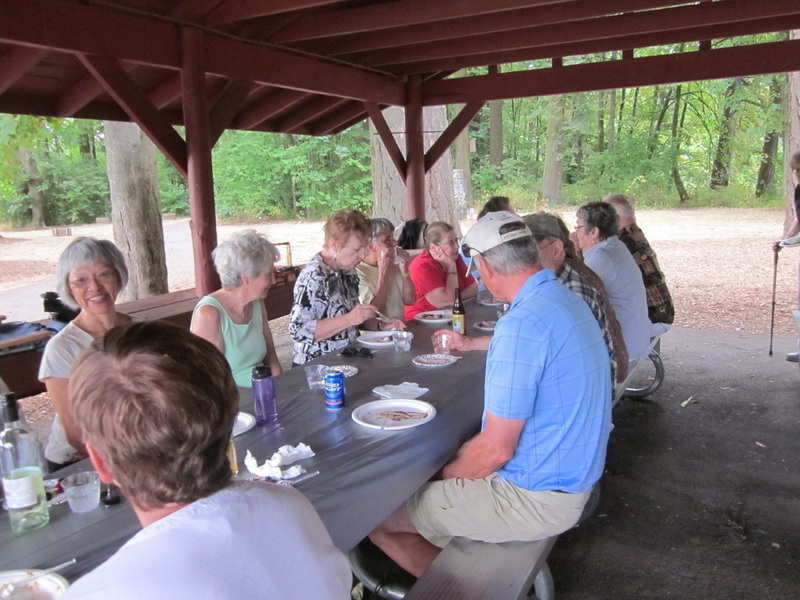 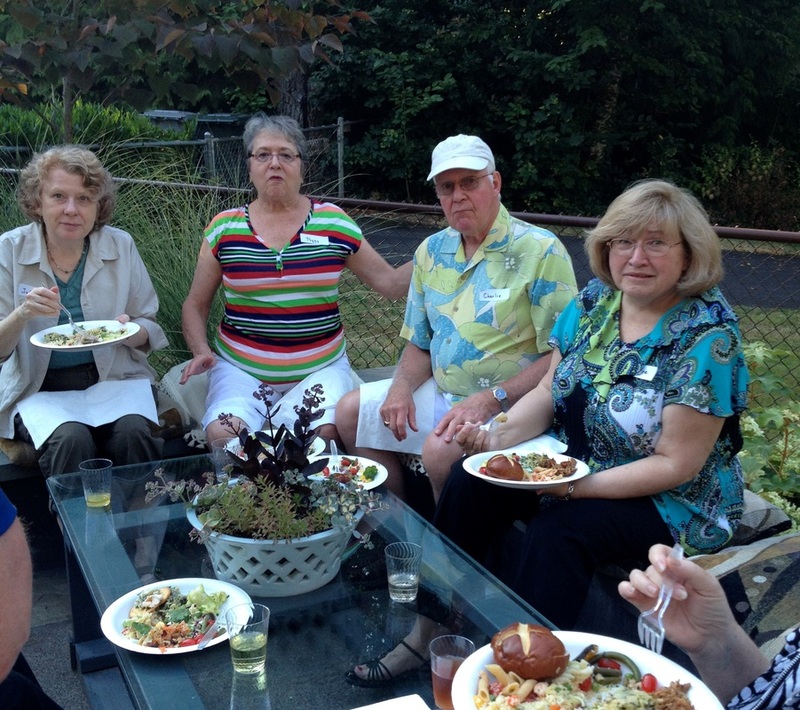 On August 8, members and guests met at the Rustic Shelter in Tualatin's Community Park. 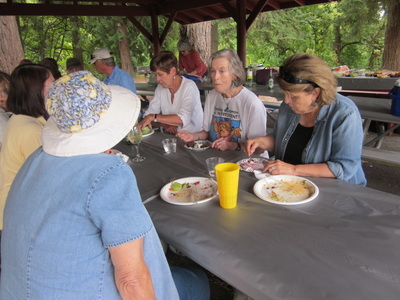 Attendees enjoyed the setting and the walking trails, located adjacent to the Tualatin River. The potluck included delicious barbecued beef sandwiches, salads and a variety of desserts. 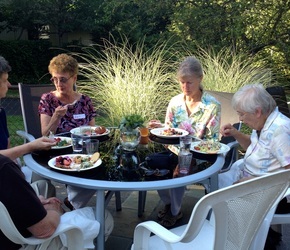 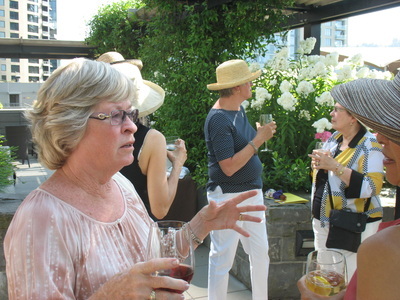 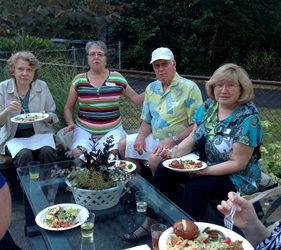 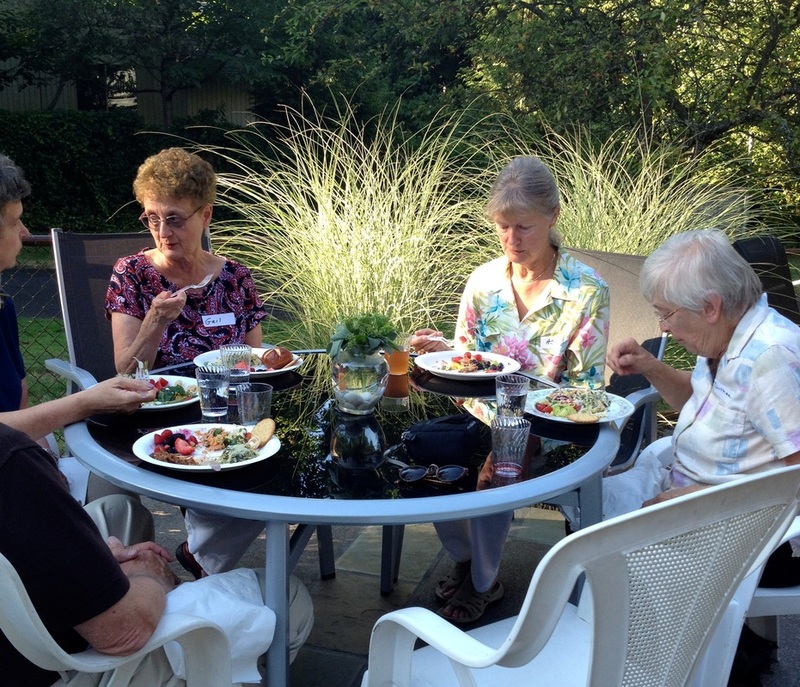 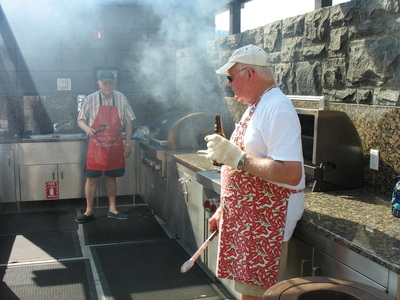 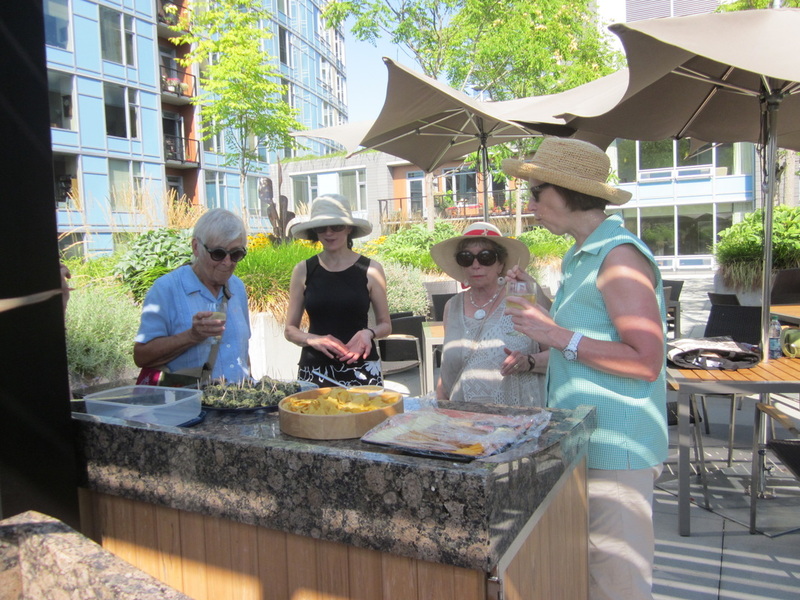 Held August 3, 2014 on the 5th floor patio at the Mirabella, members and guests enjoyed grilled meats, sides and desserts. Many thanks to the Gaines and Hickmans for hosting us. 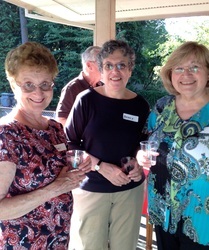 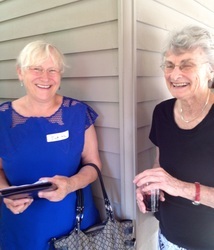 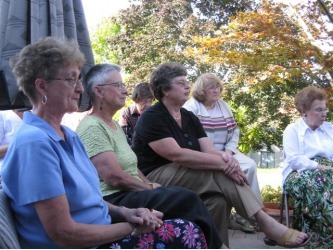 Judy Holt hosted the annual summer picnic for branch members and guests. 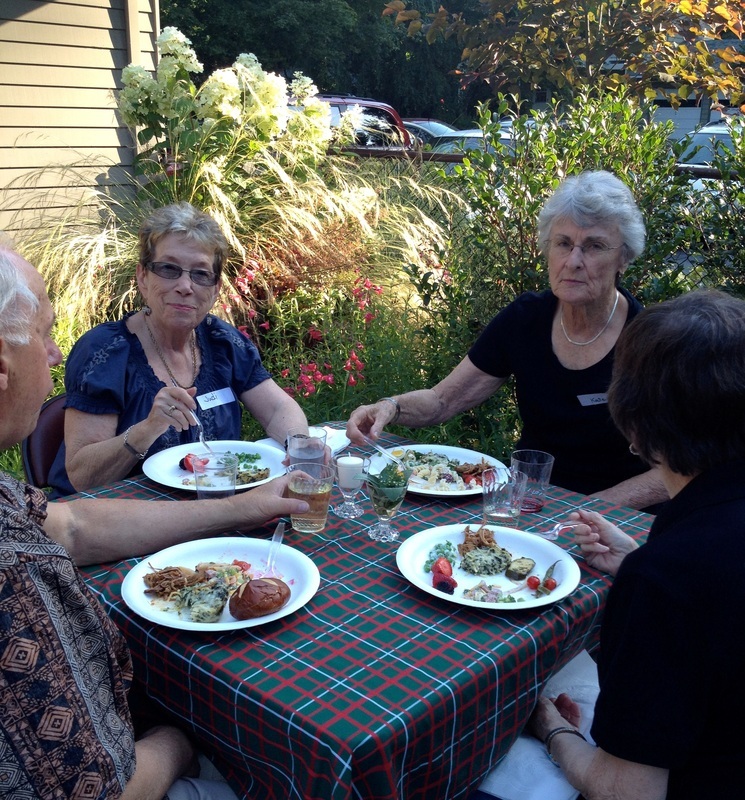 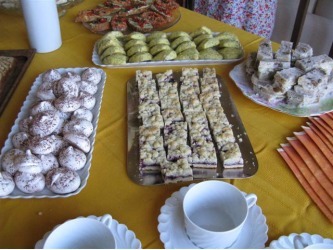 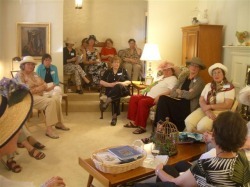 Members enjoyed getting to know each other in a relaxed setting, with good food and drink. 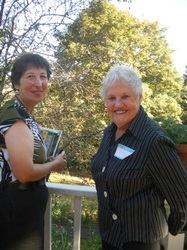 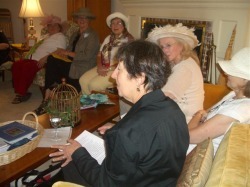 Barbara Blossom Ashmun, celebrated garden writer and acclaimed garden designer, was the speaker at the home of Jan Eastman. 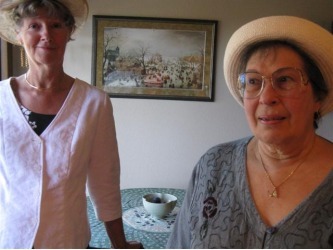 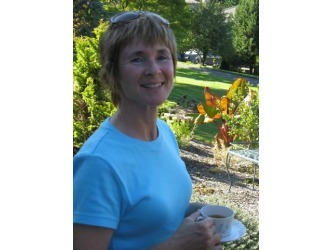 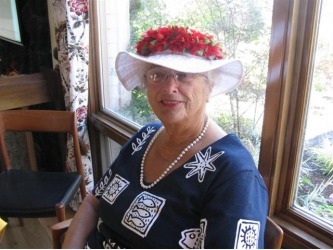 She has authored six books, including Married to My Garden, and writes a weekly garden column for the Portland Tribune. 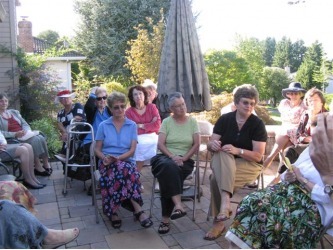 At the home of Maxine McComas, Debbie of Cornell Farms demonstrated how to plant a patio pot with hardy plants for fall and winter, followed by flowering bulbs in spring.